498 Productions is alerting its customers that the title “Price Guide for the Beatles American Records” (6th Edition), by Perry Cox and Frank Daniels, is close to selling out. 498 currently has less than 30 copies available for sale at this time. The company’s first four books have sold out and bring premium prices on the secondary market. 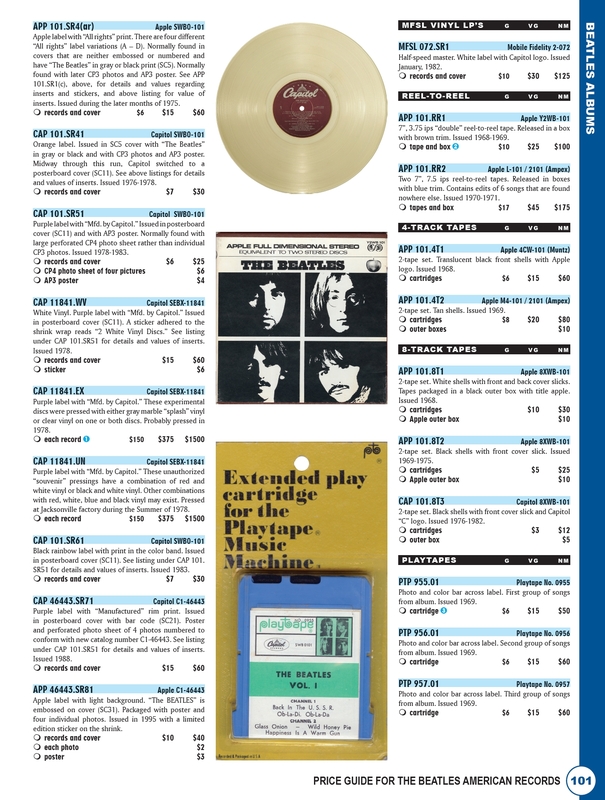 For example, a used copy of “The Beatles Records on Vee-Jay” sells for an average price of about $300. 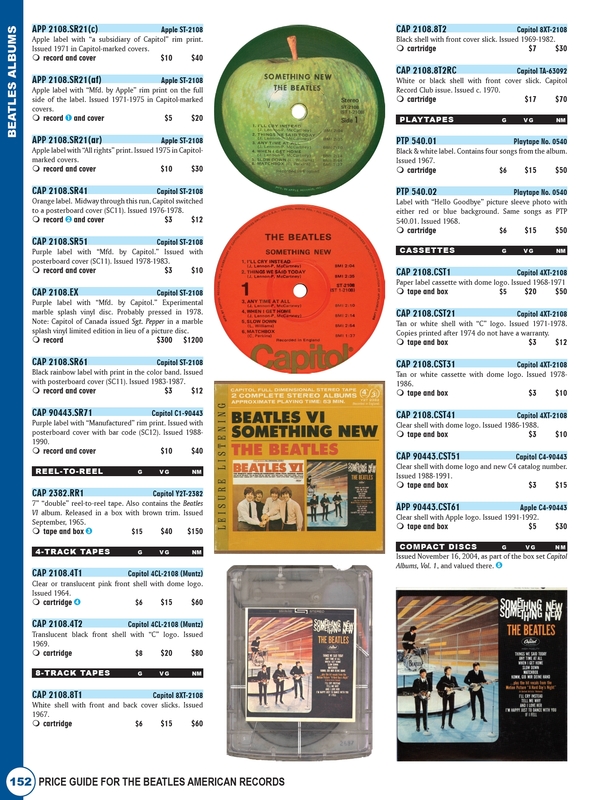 The two Capitol books typically sell for $125 each and “The Beatles on Apple Records” goes for over $100. If you have been putting off the purchase of the Price Guide, now is the time to buy the book before it sells out and becomes more expensive on the secondary market. 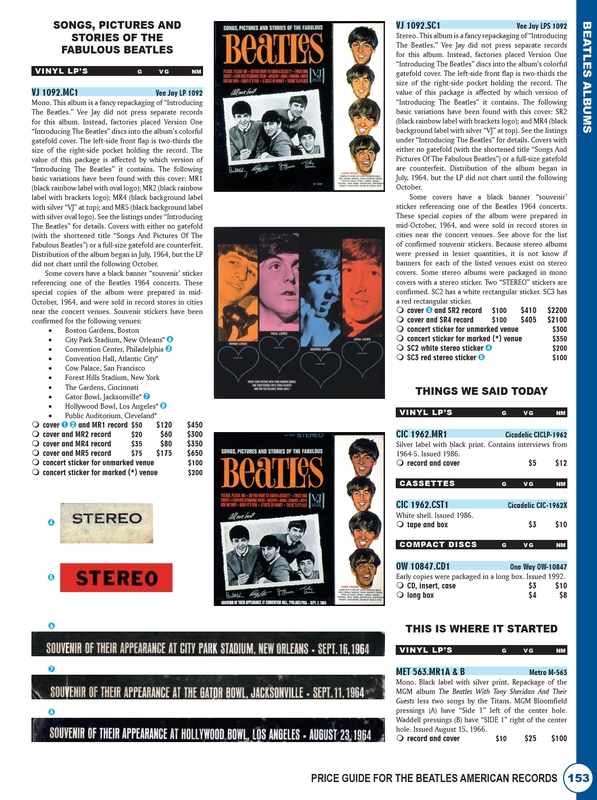 The Price Guide is more than just a listing of the values of the Beatles American records. 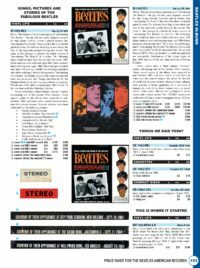 It also covers solo releases by each Beatle, as well as those issued by Pete Best and George Martin and all releases on Apple and Dark Horse Records! 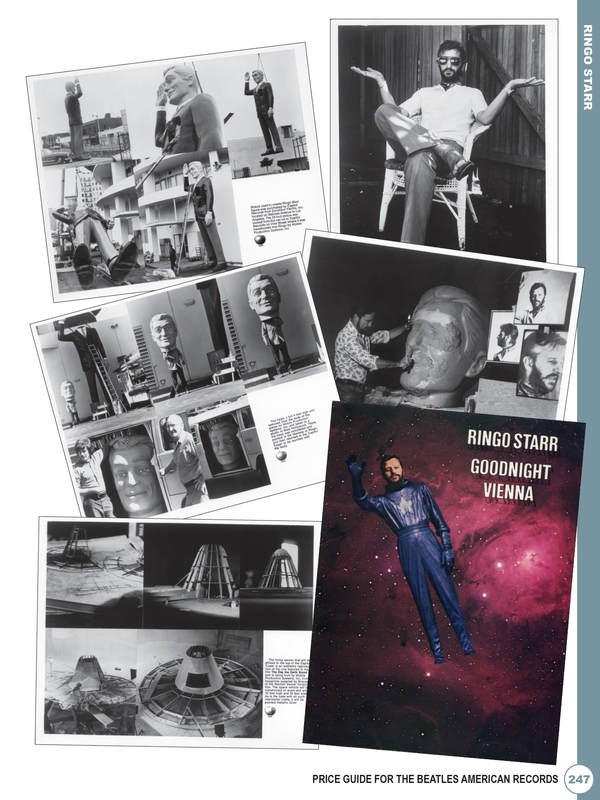 As is the case with all books published by 498 Productions, the book contains hundreds of color images of Beatles items, many of which are rarely seen. 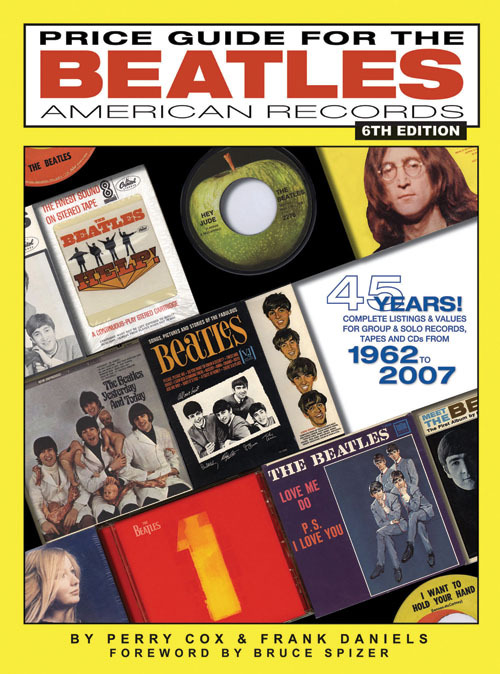 In addition to images of albums and singles, the book depicts other formats such as reel-to-reel tapes, 4-track tapes (remember those for autos? ), 8-track tapes (so 1970s), cassettes, play tapes (a format that never made it) and CDs. 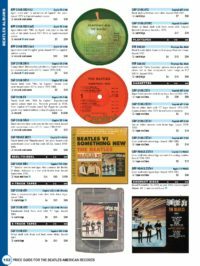 It also contains images of Beatles and solo Beatles press kits and articles to assist collectors. 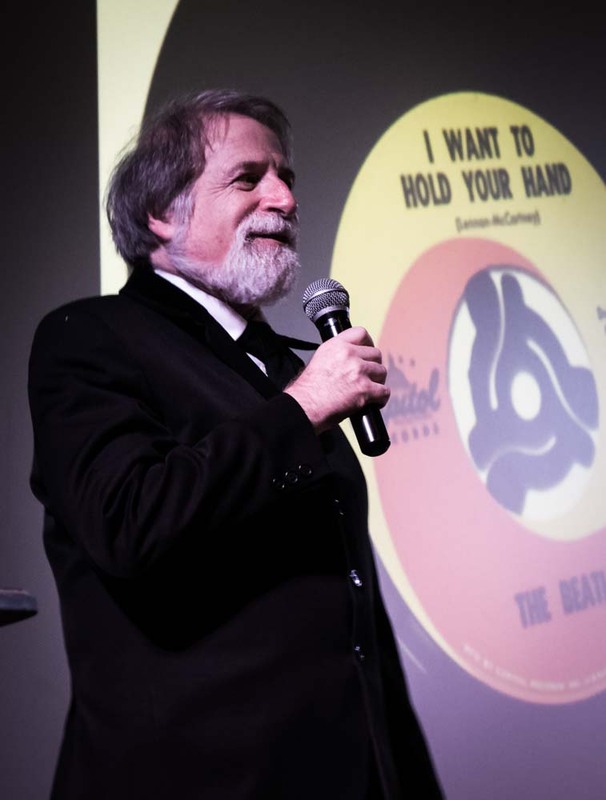 But even if you do not collect Beatles records, the book is fun to flip through and is a perfect companion to the Beatles books written by Bruce Spizer. 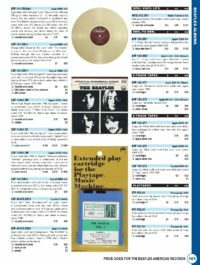 This month 498 Productions is selling the slipcase edition of the Price Guide for only 33 1/3 of its original $75 price for $25! The slipcase edition comes with a bookmark and is housed in an attractive cardboard case. The title page contains a special sticker mimicking the Capitol rainbow colorband label, which is signed by Perry Cox, Frank Daniels and Bruce Spizer. If your copy of the Price Guide is all marked up or worn out, now is the perfect time to upgrade to a clean slipcase edition. 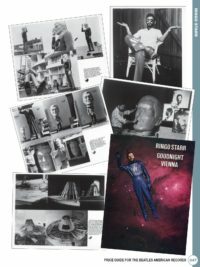 If you have yet to buy the Price Guide, but own several of Bruce Spizer’s book, then what are you waiting for? Supplies are obviously limited, so get your copy before they’re gone.